Bobby Haas was photographing flamingos in Mexico, and everything was going well. He’d spent 30 minutes photographing the flock from the air via a rented helicopter, and he was about to head back when he saw something unusual. 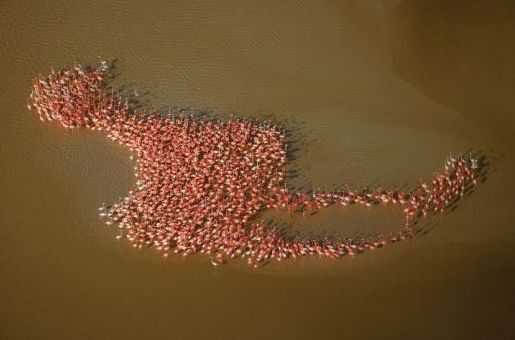 The flock of flamingos he was photographing had shifted to stand in a flamingo-shaped cluster. That’s not the kind of shot anyone can pass up, so he had the copter double back so he could save the moment for posterity.